The night before your flight, stay in a good airport hotel. Holiday Inn has airport hotels and also offers long stay parking and shuttle transfers to and from the airports. Canadian time difference can be as much as 8 hours depending on your destination, so a good night’s sleep and a relaxed departure is a necessity. While Edmonton, Alberta and Jasper, BC may look close on a map, they’re actually a good 2 days driving apart. Be realistic about how many miles you can cover if you’re planning on travelling around. State sales tax is not included on the price tags in Canada, so if you’re expecting an item to cost $19.99 you may be surprised when you get to the till and find out that you still owe a few cents more than your $20 bill. Sales tax ranges from state to state, but it’s lower than the UK – sometimes around 7%. Consider a trip travelling by train instead of hiring a car on the Rocky Mountaineer railway line. This railway passes through some beautiful scenery and is world renowned for its service. While it doesn’t come cheap, compared to the cost of car hire there’s not a lot in it, and you’ll get to see a lot more when you’re concentrating on the view rather than the road. 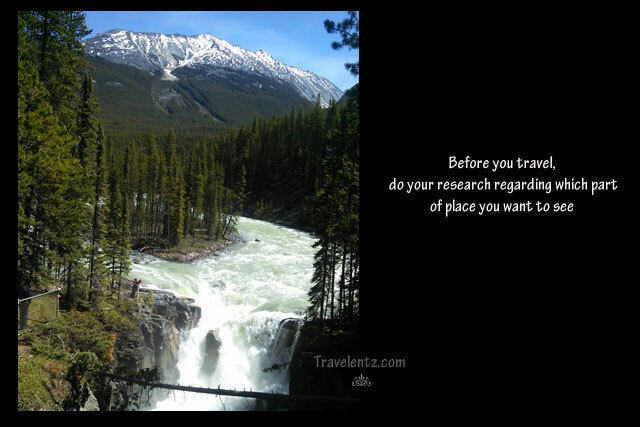 Before you travel, do your research regarding which part(s) of Canada you want to see. It’s such a big country that you’re unlikely to be able to cover a huge area in a single trip – so decide what it is you’re looking for. If you want to see as much as possible, consider hiring a motorhome. Alternatively, if you’re looking for a beach vacation, consider a smaller town with a lake made for swimming such as Shuswap Lake in British Columbia or Tofino on Vancouver Island. 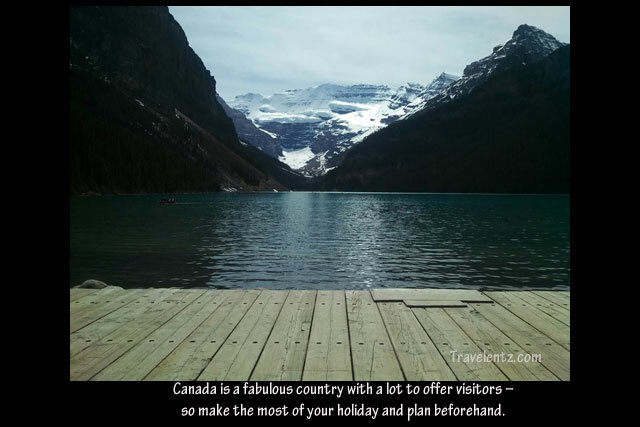 Canada is a fabulous country with a lot to offer visitors – so make the most of your holiday and plan beforehand.